Welcome to the 2018 Louisiana Marathon Running Festival. Rendezvous with runners from 50 states and over 30 countries who share a passion for Louisiana as they race our fast, flat and festive courses. Stick around for the best Finish Fest on the bayou and enjoy tastes of gumbo, jambalaya, étouffée, duck confit and couch du lait (to name a few dishes offered) while dancing and laughing to local jazz-funk-zydeco-country-blues live performances. 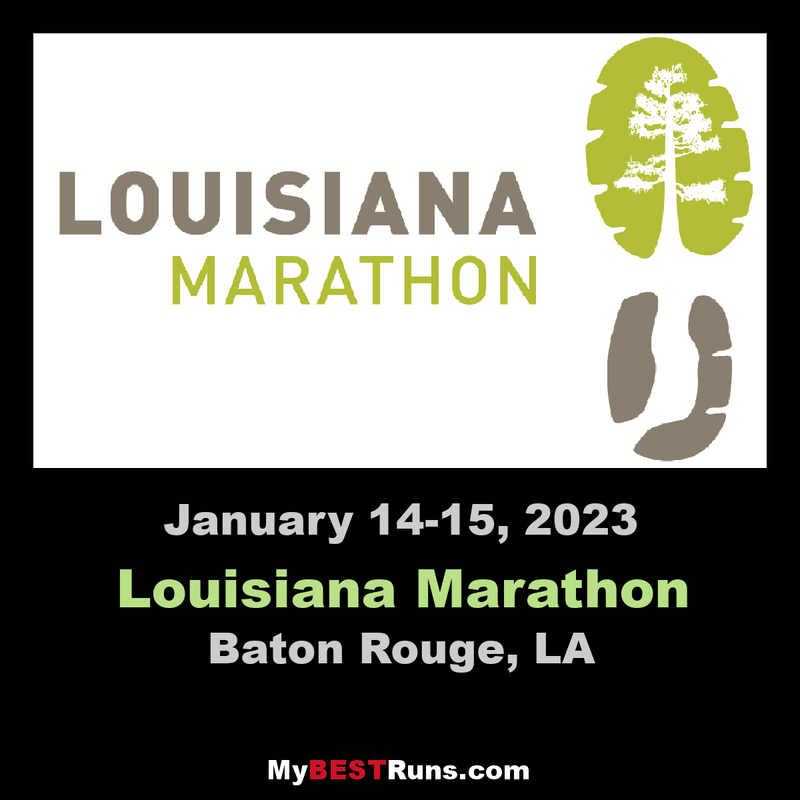 The Louisiana Marathon was established in 2012 to be a major racing event on the winter road racing calendar and running festival celebrating the passion for the sport combined with the Louisiana culture. Friends, family and curious spectators line up along the 26.2 picturesque miles of roadways filled with inspiring sights and sounds to cheer on the many that chose to run. 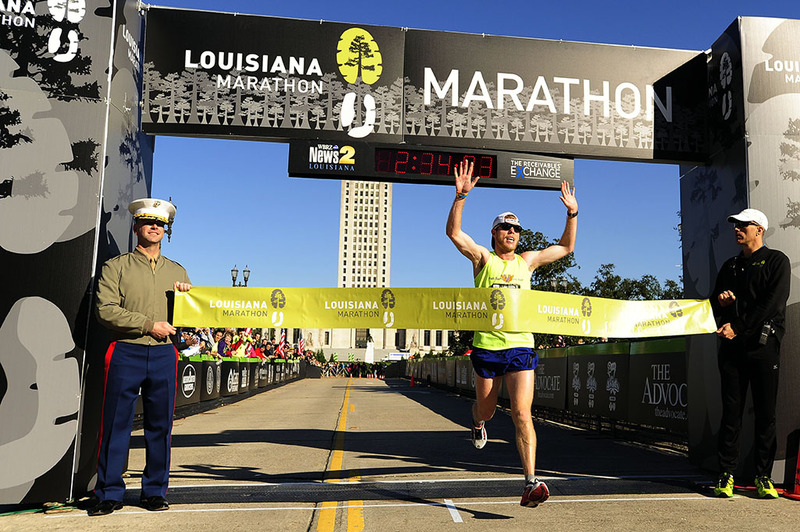 The Louisiana Marathon course takes runners from downtown, along the river, through the University Lakes, the Louisiana State University campus, and through historic rivertown neighborhoods. Runners who finish the Quarter Marathon or 5K on Saturday AND finish the Marathon or Half Marathon on Sunday, receive the coveted Déjà Vu Award. The 10-inch “crawfish tray” is common dinnerware in many Louisiana seafood restaurants, bearing the fruits of the Gulf Coast, but at the Louisiana Marathon, it is also the symbol of dedication, preparation, commitment and endurance. It’s a trophy that few earn. 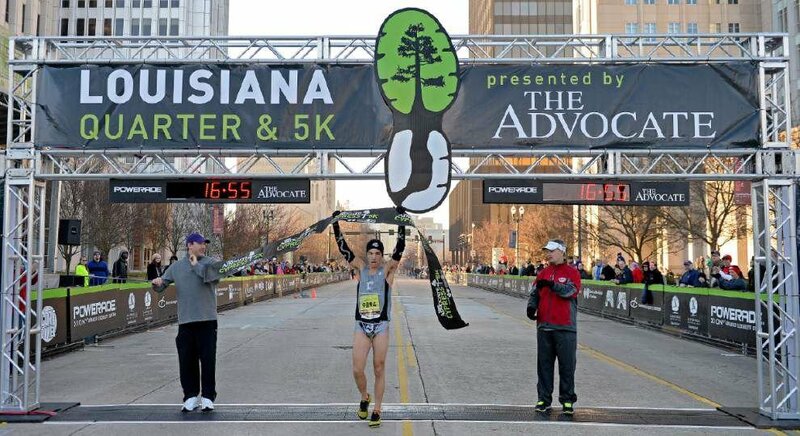 The Louisiana Marathon is a USAT&F Certified course and an official Boston Qualifier route. It boasts one of the highest BQ rates of all marathons since it features a fast, flat, runner-friendly path through the lakes, along the river, around downtown, on the university campus and in historic neighborhoods.Friends, family and enthusiastic spectators line up along the course in various spotsto cheer on the runners, making for a spirited marathon.